WE ARE MAKING A CHANGE! 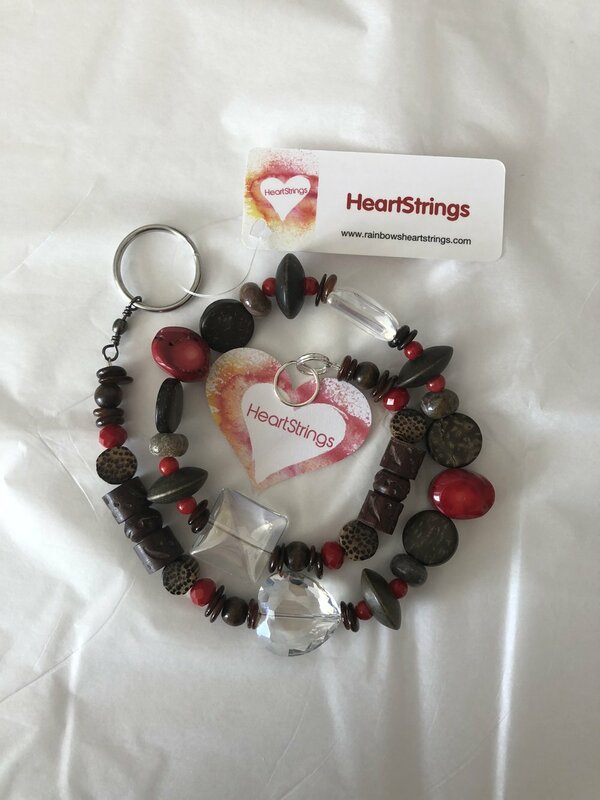 We are no longer offering personalized tags at the bottom of the HeartString; instead we will be adding a silver charm that says “Always in My Heart” to every HeartString we make. With this change, we are able to deliver your HeartString faster. 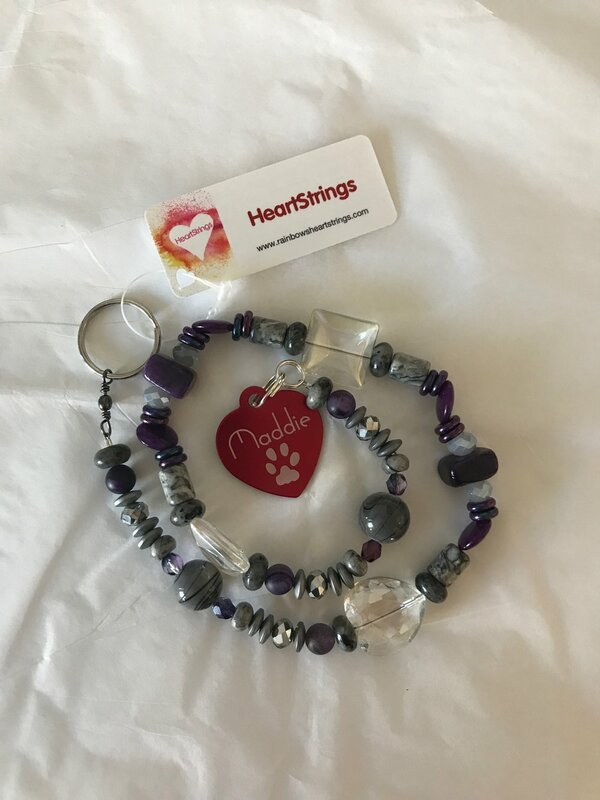 Once you receive your HeartString, you can attach your pet’s tag with name on it to the HeartString. Our HeartStrings are meant to be a celebration of a life well lived rather than a memorial to the loss of our beloved pet. As the light from the sun shines through the HeartString it brings light, reflection and love back into our broken hearts! It reminds us that our loved one's spirit lives on within us! When pets leave our lives, they take a piece of our heart with them. That piece of our heart remains with our beloved companions while they await us over the Rainbow Bridge. 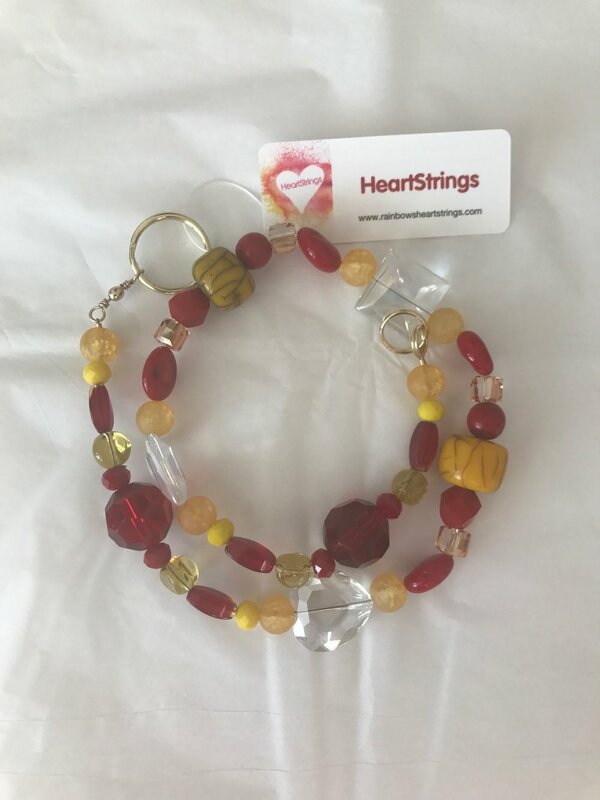 Please remember that all our HeartStrings are one of a kind, handmade items that we take our time to create especially for you! It will take a little longer to recieve one in the mail than massed produced items ordered online. 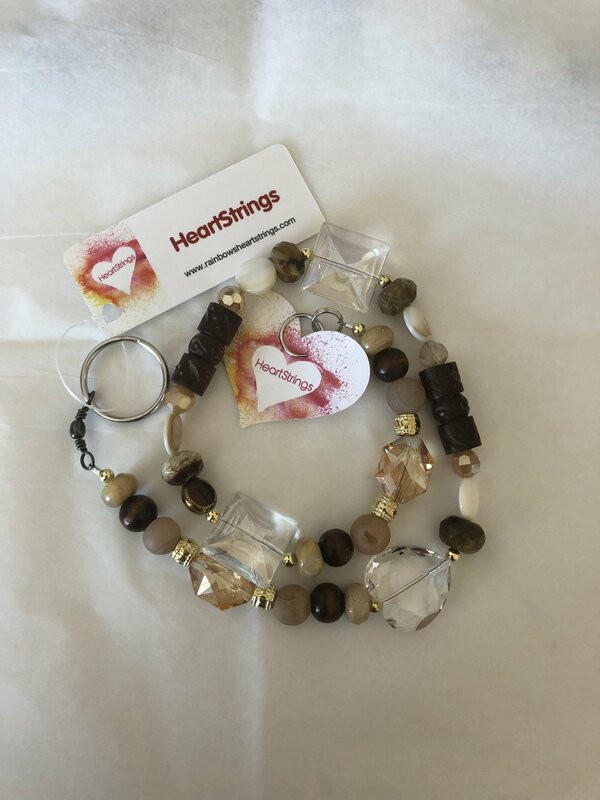 Please give us a week to a week and a half to get your special HeartString made and shipped. Thank you so much for your order and support of our little company! When you click on the picture above you will be taken to the next page where you can order the colors you want. There is also a gallery of HeartStrings that we have made that you can look at for ideas on color combinations. Enjoy!